Fear is a funny thing. It can be completely debilitating. It can keep you from trying new things. It can keep you from meeting the love of your life. Fear can stop you from making new friends or going after your dream job. Fear can stop you from becoming the person that you dream of being. Nine months ago, I decided that I was tired of allowing fear to dictate my life. I was over not trying new things because I was afraid of the outcome. Nine months ago, I decided to take control and say “to hell with fear!”. 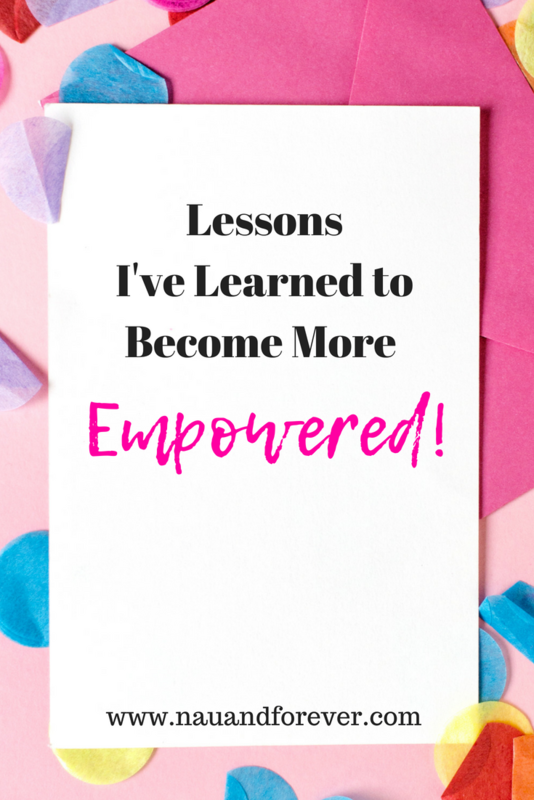 Once I began the process of retraining my brain, understanding my thoughts, and putting myself in situations that the “old Laura” would have run away from, AMAZING things began happening. Get your copy of my FREE Self-Care ebook! I am in control of my emotions. Me. Not my family, my neighbor, or the guy that cuts me off in traffic. Understanding that is so empowering. The only person that I have control over is myself. Seriously, that was a huge weight off my shoulders when I truly accepted that. I began reacting to situations differently. Things that would normally hurt me or stress me out, no longer got my energy. I can control my thoughts. And change them. When I have a negative “poor pitiful me” thought, I am learning to step back and really look at it. Why am I thinking that? What’s the truth? How can I change this thought to be more productive instead of allowing it to stop me in my tracks and run the other way? I can change my story. If I don’t like the story that I’m telling about myself, I can change it. It’s my story. The stories that we tell about ourselves tend to be limiting and untrue. “I’m a sloppy person.” “I can’t stop procrastinating at work.” “I don’t have time to start that business I keep daydreaming about.” These are all stories that we are telling. We can change them if we truly desire change and are ready to do the work. Stop imagining yourself as a victim and change your story and become a heroine. I deserve to live the life of my dreams. I deserve to be happy. I deserve to love myself. All of me. By becoming more confident and empowered, I have learned that I deserve to have my dreams come true. And they are coming true. I have learned the power that comes from owning my truth. I have learned that surrounding myself with the right people makes a world of difference. I have found incredible and inspiring women that I learn from. No envy. No jealousy. Just pure inspiration. I’m not afraid to ask for help anymore. I’m not afraid to put myself out there. I have learned that there are some incredible things waiting just outside my comfort zone. I have created a program designed to help other women become more empowered. 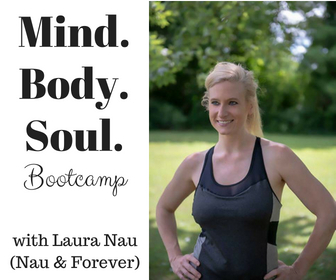 It’s called Mind Body Soul Bootcamp and begins 9/17/2018! A 6-week program designed to empower you as a strong, confident woman. We will discuss a new topic each week to help you lose stress and gain confidence. We will have a large focus on self-care because you deserve to love yourself and your body. This course is designed for the woman who has lost herself in the day to day grind of life. Whether she is a mom or not, she has been so busy taking care of those around her that she has forgotten to take care of herself. This course is for the woman who has let the actions of Negative Nancy’s affect her and drag her down. This course is for the woman who wants to make healthy and better choices and habits but doesn’t know where to start. She’s ready for lasting changes. This isn’t for the woman who isn’t ready to put in the work to get results. This isn’t for the woman who just wants me to tell her what to do. This isn’t for the woman who doesn’t want to try new things to get new results. If you’re ready to put in the work and are willing to be open to the program, I welcome you with open arms! Click here ⇒ to join! I am only taking 5 women in this first group, so join now to hold your spot! Are You Considering Borrowing Money to Grow your Blogging Business?